Kia sold 310,952 vehicles in the U.S. overall in the first half of 2015, a 5 percent increase. By the skin of its teeth, Hyundai Motor America kept U.S. sales on an upward trajectory in June as its parent company, Hyundai Motor Co., reported a third straight month of falling global sales. Hyundai reported selling 67,502 vehicles in the U.S. last month, just 95 more than it reported a year ago. Yet it was enough for a first-half sales record with 371,150 vehicles sold through June, 2 percent ahead of its 2014 pace. Hyundai said that Elantra sales spiked 55 percent to 26,613 units, compensating for the Sonata midsize sedan, which plunged 40 percent to 15,199 units. Sales of the Elantra, Hyundai’s top-selling model, were up 14 percent through the first half of the year with a redesigned model scheduled to go on sale this autumn. First-half sales of the Sonata fell 10 percent after a redesign for the 2015 model year was criticized as being too conservative for American tastes. Seoul-based Hyundai Motor Co. today reported a 1 percent decrease in global sales in June. Overseas sales, which account for the bulk of Hyundai’s business, fell 2 percent to 345,224 units as a strong Korean won and weak Japanese yen made Hyundai’s exports more expensive relative to those of rivals such as Toyota. Meanwhile, Kia’s U.S. sales climbed 7 percent to 54,137 units in June, mainly because of a 707 percent spike in sales of the Sedona minivan. Since a redesign last year, Kia’s family-hauler has settled into position as America’s fifth or sixth best-selling minivan, behind the Toyota Sienna, Honda Odyssey, Dodge Caravan and Chrysler Town & Country. The Sedona beat the Ford Transit Connect in June with 5,434 units sold. Michael Sprague, COO of Kia Motors America, said the company’s “Summer’s On Us” promotion also attracted more customers. For the deal, Kia is offering 0 percent financing for up to 66 months and making the first three payments. 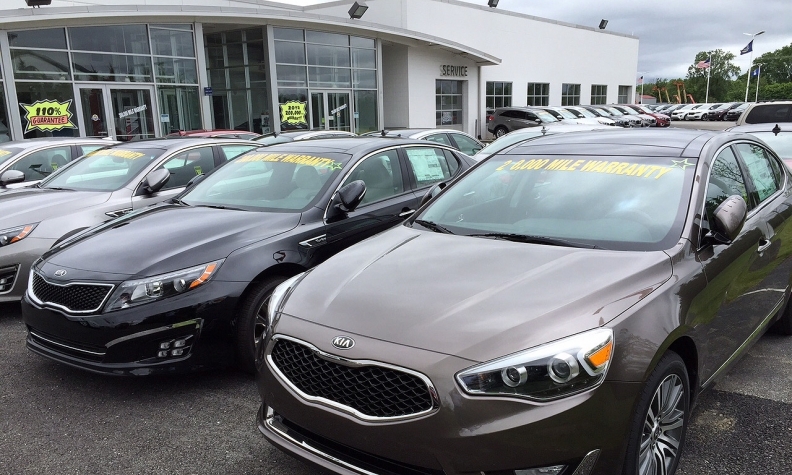 Kia sold 310,952 vehicles overall in the first half of 2015, a 5 percent increase.